Previews for Thor: The Dark World haven’t impressed me cause the dialogue sounds so generic. That movie looks to be another dud *cough*Iron Man 3*cough* in Phase 2 of the Marvel Cinematic Universe. Glad the filmmakers didn’t forget about the fish-out-water aspect of the story especially since this scene in Avengers landed on the cutting room floor. Robert Redford (The Natural) doesn’t quite fit Alexander Price’s profile of his skilled hand-to-hand combatant also marksman comic counterpart, nonetheless no biggie. Anthony Mackie (The Hurt Locker) as Sam Wilson aka Falcon could use some his equivalent’s red in addition white color in the outfit but that’s just me. 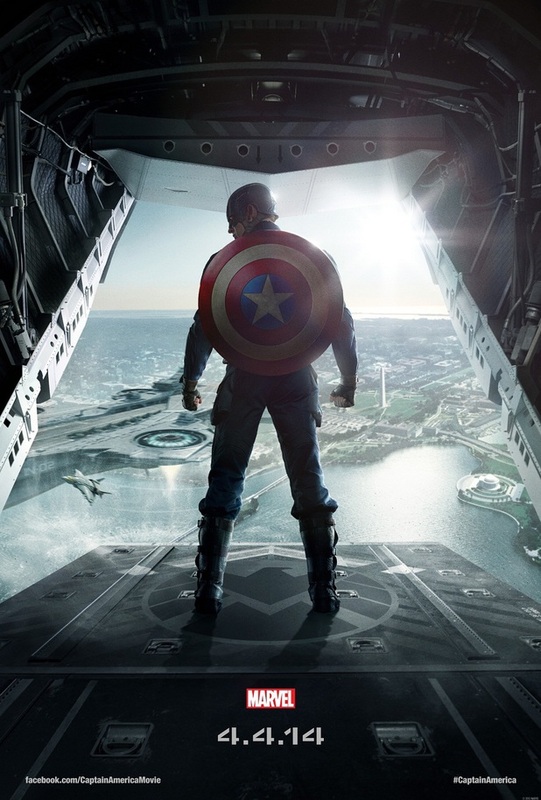 Steve Rogers (Chris Evans) won’t be working with S.H.I.E.L.D. long since he sees this fascist approach isn’t the way to insure democracy. The breaking point after he finds out the former Soviet assassin’s secret identity which might be what leads him to don the original uniform (minus the straps) again. But that’s my biggest gripe. Why is The Sentinel of Liberty continuing to allie himself with the same government organization to begin with since last time they’re intentions were to make WMDs with The Cosmic Cube (Tesseract) which is exactly what HYDRA did in WWII? The Brooklyn native clearly said (Stark aswell) he wasn’t marching into Nick Fury’s fight for him since Fury had the same blood on his hands that Loki had. It’s unlikely Samuel L. Jackson or Scarlett Johansson’s characters will kick-the-bucket before Earth’s Mightest Heroes’ follow-on hits theaters two years from now. I hope there isn’t a Cap/Black Widow romance unusually since Peggy Carter’s grandniece/granddaughter, Sharon played by Emily VanCamp of Revenge-fame is going to be introduced cause then it will be just another bad Avengers setup like the many plotlines Iron Man 2 had.